1. 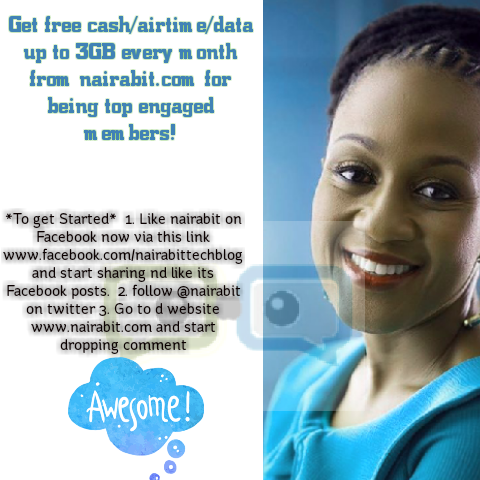 Top engaged members of the nairabit website will be given free cash / airtime/ data up to 3GB of data every month. 2. The winners with the highest number of activities ( comments on posts, Facebook shares and likes ) will be announced at the end of month. Who are the top engaged Members? And start sharing. Also like its Facebook posts. 3. Go to the website and start dropping your comments on all recent posts. No charges, its free of charge!